Laser provides alternative treatment in periodontal disease. Please click on the article for full layout. 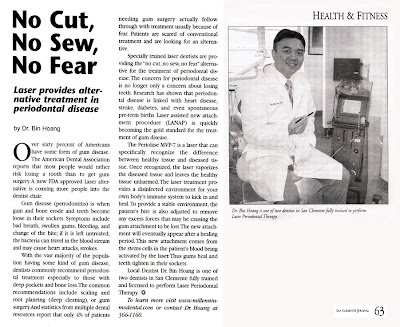 Good article, good information, Dr. Hoang.